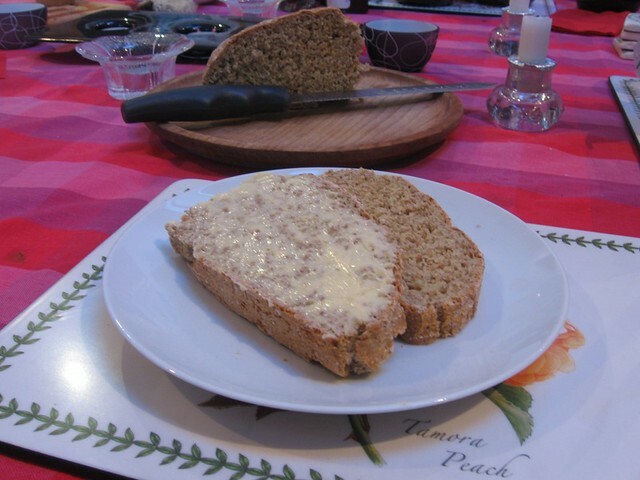 Guest post: Irish Soda Bread. I am so thrilled to be able to be asked by Claire to do a guest post for her blog. 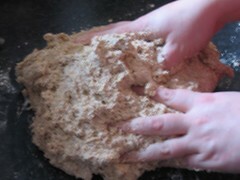 I’m afraid I’m not as glamorous as she is, but I do hope that my recipe for soda bread matches her high standards of cooking. 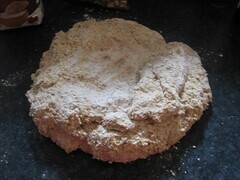 This recipe is modified from Darina Allen’s Brown Soda Bread in the Ballymaloe Cookery Course book. 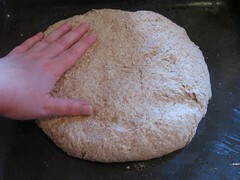 It makes one very large loaf. As there is only the Beau and me in my household, I cut the loaf into quarters, eating one straightaway and freezing the other three for later in the week. This bread keeps wonderfully in the freezer for up to 3 months, after that it gets a little dry. 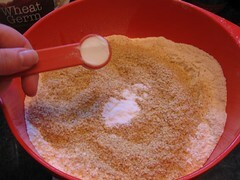 Weigh the wholemeal flour, the plain flour and the wheat bran into the bowl. 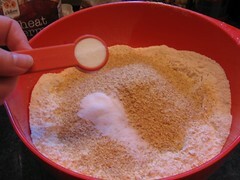 Add in the salt and bicarbonate of soda. 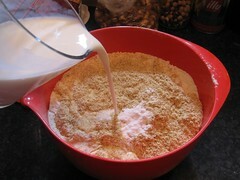 Pour in the buttermilk and with your hand mix the buttermilk into the dry ingredients. I’m sure it goes without saying that your hand should be clean and free of all jewellery, you really don’t want this mix getting stuck in your rings! 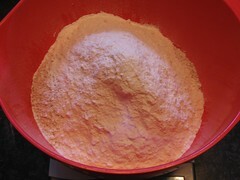 Once you have a rough dough, tip it out onto your worktop and pull in any loose bits of flour until you have a large slightly sticky mass. 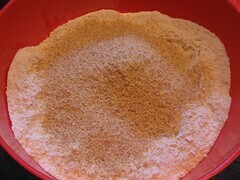 Sprinkle some flour on the worktop and over the top of the dough. 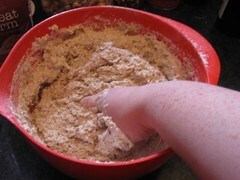 With dry, floured hands roll the dough over the flour, tidying it up and making it less sticky and more cohesive. 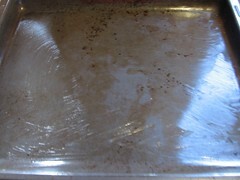 Grease a large baking sheet and place the ball of dough on to it. 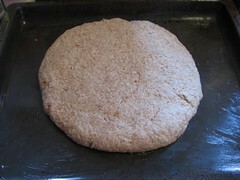 Flatten the dough into a rough circle, to a thickness of approximately 5cm. Don’t worry if it’s not that exactly, there’s no need to get your tape measure out. 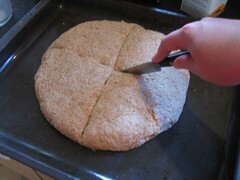 Cut a deep cross into the top of the bread and prick the four corners of the loaf with the knife tip. 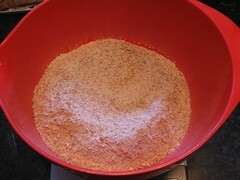 These steps are traditional to firstly bless the bread (and to control its cracking during the baking process) and to let the fairies out of the bread. Having done a little research, I can’t find why soda bread in particular would be infested with fairies but couldn’t find anything about it. The Beau, who has an interest in these matters, thinks that it is probably to do with the buttermilk, apparently the fairies love it! 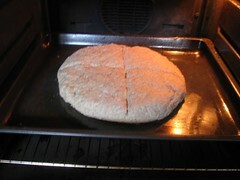 Put the loaf into the oven and bake for 15 – 20 mins before reducing the temperature to 200C. Bake for a further 20 – 25 mins. 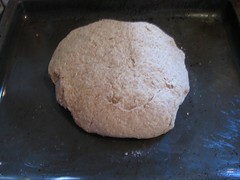 The bread will be done when it sounds hollow when tapped on the base. 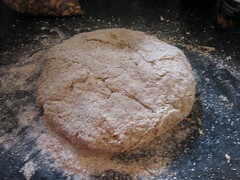 Leave the loaf to cool before enjoying with lashings of butter and jam. oooh this does look lovely, who doesn't like freshly baked bread?! mmm that looks deeeeelish! :) yummy, will have to try this, thanks for sharing! Thanks for the lovely comments! 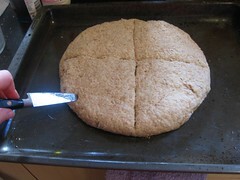 This is my favourite soda bread the wheat bran adds a delicious nutty taste that I am particularly partial too. Hello Claire. I am a first time visitor to your blog. Mmmm. 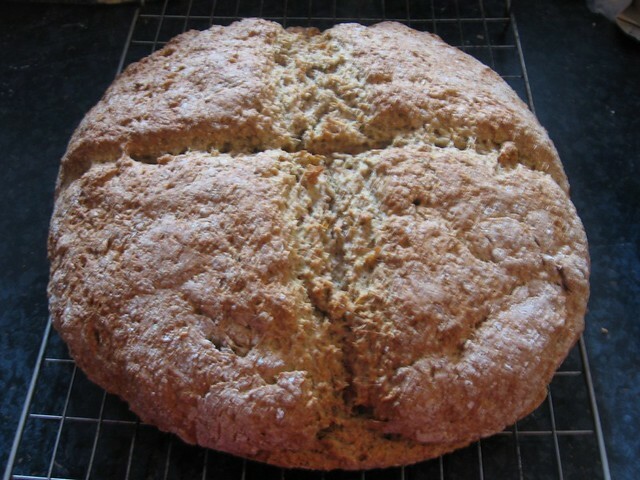 This loaf of Irish Soda Bread looks so delicious. I love the expression, “lashings of butter and jam”. I think I will add that to my vocabulary. 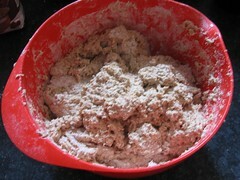 Breads are one of those foods that fill the rooms with a rich fragrance in anticipation of the meal. Great post! Thanks for sharing. I am from California and write a blog about food with my musings on life, love and relationships. And not ever in equal portions. Please stop by. Visit. Maybe follow. That would be cool. Tokyo Part 3: Ueno Zoo, Ikebukuro and Shibuya. Guest post: Picnic with the Birds.